Posted December 17, 2005 by niallfarrell in Sport. Carnmore Hurling Club would like to thank everybody who supported our Bowling fundraiser at City Bowl Oranmore. The event was well supported by Juvenile and senior players. Team’s of four played and were made up of any combination of juvenile, family or adults. We would like to thank Pat Grealish and Trevor Cullinane of New Age Stone Technology who sponsored the event, all of our lane sponsor’s and all the team’s who competed in the event and all who donated spot prize’s. 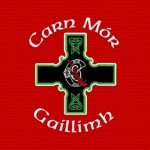 The fundraiser was also very well supported by Carnmore Camogie Club and we wish to thank them for their support. Main Sponsor: New Age Stone Technology Carnmore Cross.